Taglines: Not all heroes are super. Revealing mistakes: When the boys are playing with Lego in Matt's room, Matt clicks his iPod to play music, but he obviously doesn't click the play button. The music begins to play regardless. 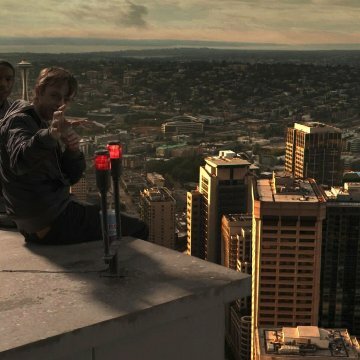 Andrew Detmer: Wow, look! A rave! Matt Garetty: Oh wow, look! A nerd with a camera! Enjoy trolling? Enjoy watching people get trolled? Here's your movie. 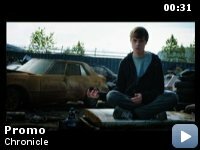 Chronicle stumbled into theaters thoroughly undervalued. Although it does have its flaws, it has paved an entirely new route in the worn-out genre of superheroes. 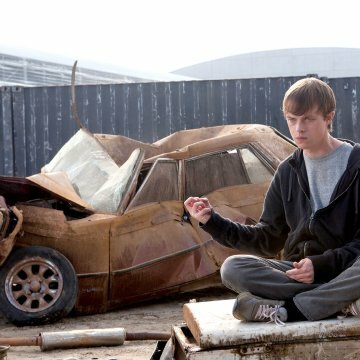 Chronicle brings all the major superhero questions into playWhere did our powers come from? How should we use our powers? In the end, however, those questions are irrelevant. This movie is not about three superheroes. It is about three teenage boys who just happen to have super powers. This movie is quite extraordinary. All three of the main actors are unknowns. When the movie begins, they all promise to me stereotyped high schoolersthe popular one, the outcast, and the stoner. As the movie progresses, those stereotypes become worthless. These actors were up to the challenge. Each main character changes so much that you won't recognize them from beginning to end. Mix this with the unique storyline and this movie has an extremely strong core. 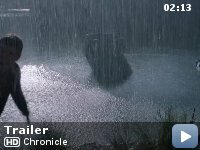 A good deal of this movie is enjoyable simple because it is realistic to life. The bullying is brutal. The type of things that the main characters do with their powers is exactly what I would do. That's the shining point of this movie. It is true to life. It doesn't cover up life or try to smooth it over with simplifications. This movie is beautiful with its honesty. 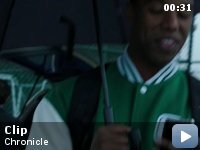 It allows the viewer to laugh hysterically one moment and cringe the next. The problems are minor but still present. The incredible climax is followed up with a lackluster conclusion. The father's character is rather over-the-top. I can't tell if it was the writing or the acting that made it so. These two facts won't pull you away from enjoying the movie. It's just too bad that such a good movie would end on such a low note. This movie is worth seeing. Some people will have trouble watching it in theaters because it is a shot from the first person and can be jerky at times. If you are okay with that, I would recommend seeing it in the theatre. I saw this movie with a large audiencewhich appeared to add to the experience. For the average Joe, this will be an enjoyable movie. For the superhero fan, this could be a cult classic.